Entry to the 2019 Surface Design Awards is now open! The Surface Design Awards are now in their 7th year with past winners including; AL_A, Arup, Diller Scofidio + Renfro, Coffey Architects, Giles Miller and BuckleyGrayYeoman. The 2019 Awards will not be short of variety with projects entries from 16 different countries entering in 2018. There are 13 Awards across seven different categories with most categories being divided into exterior and interior. Each project is judged on a variety of criteria including materials used, type of surface and aesthetic design. The 2019 judging panel will be co-chaired by Christophe Egret of Studio Egret West and Paul Priestman of PriestmanGoode. They are joined by six fellow professionals from the architecture and design world, including: Cany Ash, Ash Sakula Architects; James Soane, Project Orange; Jeremy Offer, Arrival; Katie Greenyer, Pentland Brands; Paul Edwards, Airbus and Roz Barr, Roz Barr Architects. In 2018 there were 30 finalist, 13 of these located in the UK. 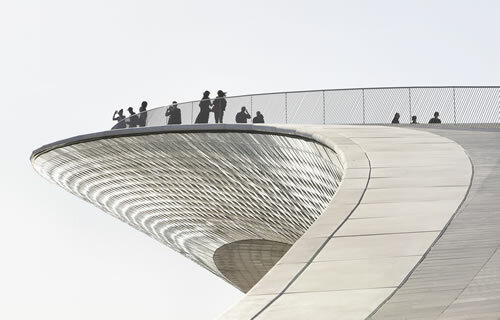 AL_A won the honour of becoming Surface Design Awards Supreme Winner in 2018 for their stunning project The Museum of Art, Architecture and Technology (MAAT), in Lisbon. 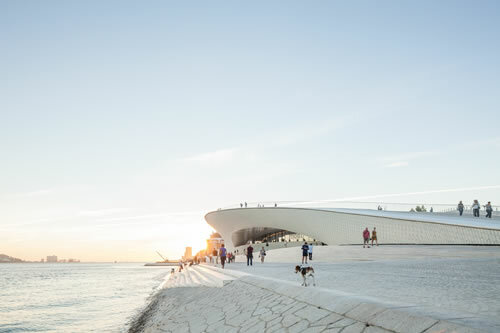 The MAAT builds upon Portugal’s rich tradition of craft and ceramics; almost 15,000 three-dimensional crackle glazed tiles articulate the façade and produce a complex surface that gives mutable readings of water, light and shadow. The project was described by judge, Jo Littlefair as “poetic with beautiful curves, a building whose design and surface promotes art and architecture”. For more details on the Awards and how to enter them, visit www.surfacedesignawards.com.